Join us this Thursday, February 21 at 7pm for a Prep & Take meeting! 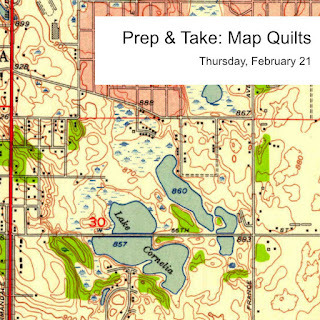 We'll be prepping Map Quilts - a fun, fusible applique project. We will have some map printouts available at the meeting, but you can also bring one (here is a great resource for finding some cool maps https://goo.gl/C4o5sA). You'll want to crop and enlarge a portion of the map to fit on a piece of letter paper (this can be done in Google Docs or Word). We'll provide the fusible webbing, and will have some fabric available. You'll want to bring - a piece of background fabric and any other fabric you want to use, scissors for cutting details or an X-acto knife with a cutting mat, and if anyone has an ironing station they'd be willing to bring, we would appreciate it. 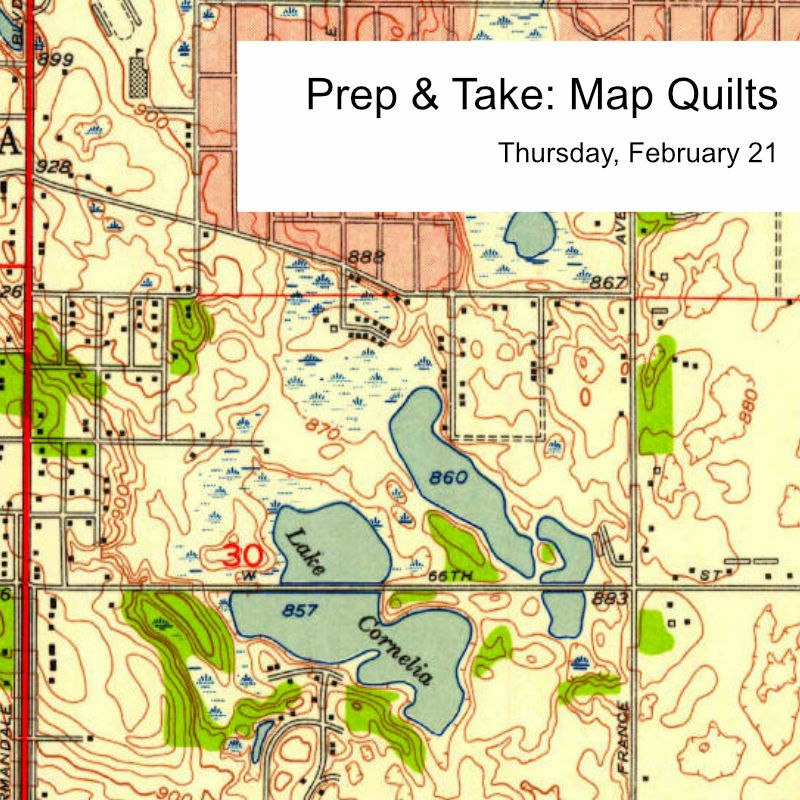 By the end of the meeting you'll have a piece prepped for quilting! Hope to see you all there, let me know if you have any questions!